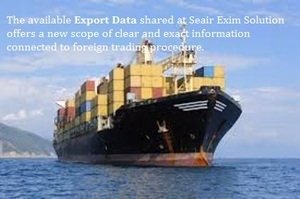 The available Export Data shared at Seair Exim Solution offers a new scope of clear and exact information connected to foreign trading procedure. The data is helpful in making the business genuine and accurate. In the last few years, India on mass bases exporting goods which includes plastics, ceramics, cosmetics, computers, toys, electronic and many more.